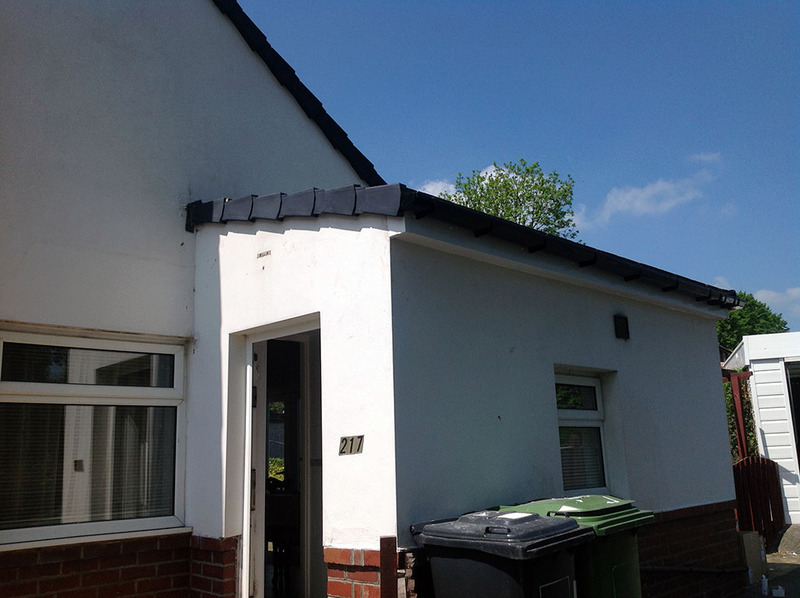 Weathering of traditional Roofline wood Fascias, Soffit boards and Cladding can cause paint to flake, decay and rot, creating an unsightly problem that requires continuous maintenance and investment. UPVC is an ideal replacement due to its combination of aesthetics, lightness, strength, formability and longevity; it is also 100% recyclable and may be recycled up to 10 times. 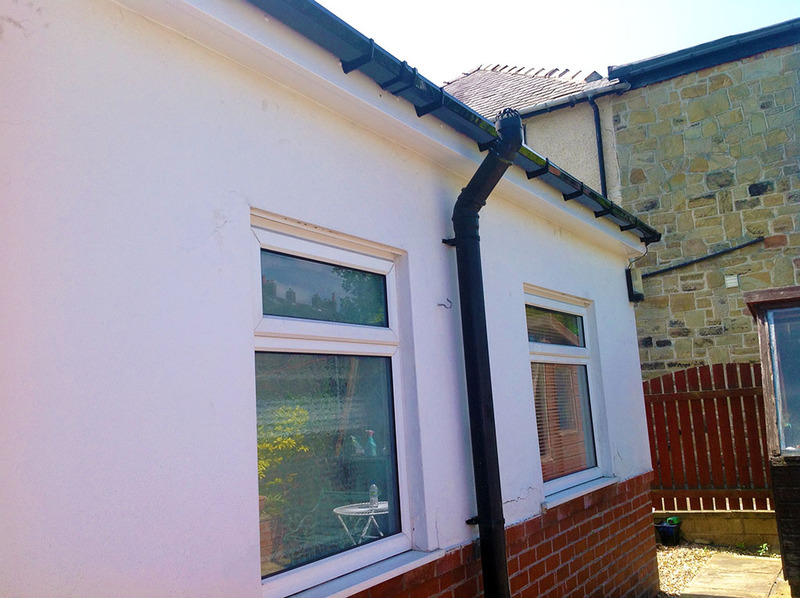 Because of this UPVC is one of the most popular choices in the UK today, not just for roofline, however windows too. with 85% of homes benefiting from this cost effective, highly durable, environmentally friendly, robust product. 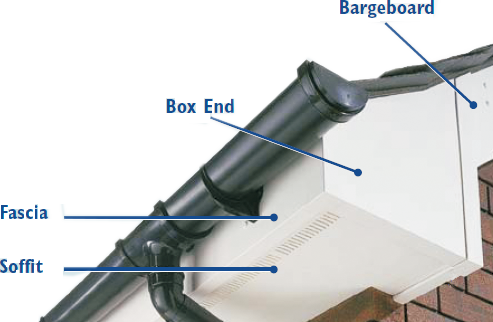 Why choose Roofline Products from Gardinia? 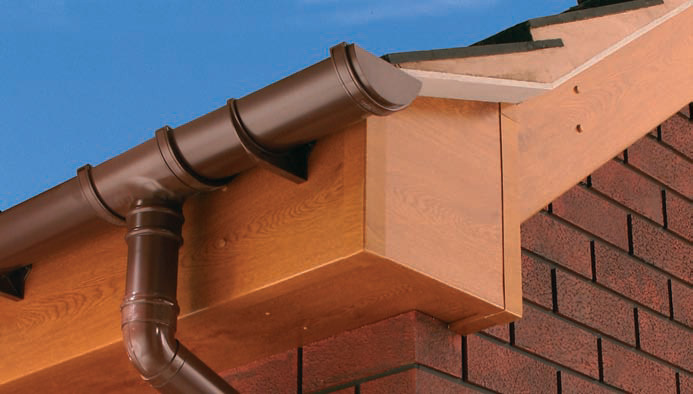 Our UPVC Fascias, Soffits and Gutters are manufactured from top quality UPVC and are designed to withstand the harshest conditions without losing its strength or looks. 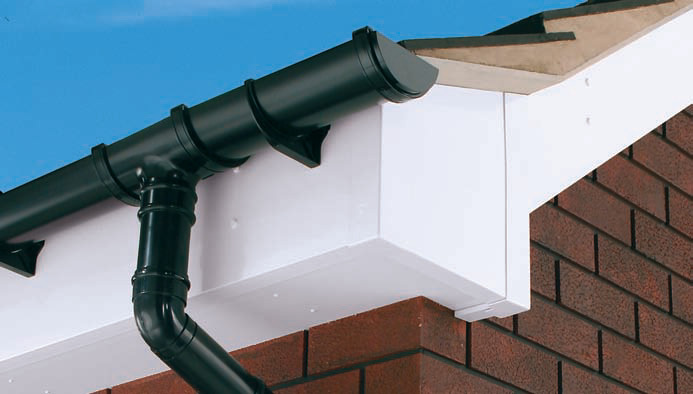 All roofline products are maintenance free, we feel they are the ideal replacement for the softwood timber originally fitted to most homes which unfortunately rots and needs regular and expensive re-painting. 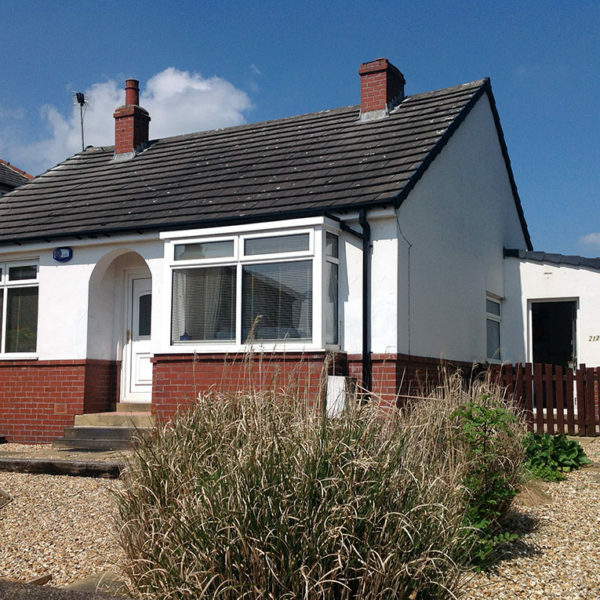 Professionally installed UPVC Cladding will make a great addition to your home. 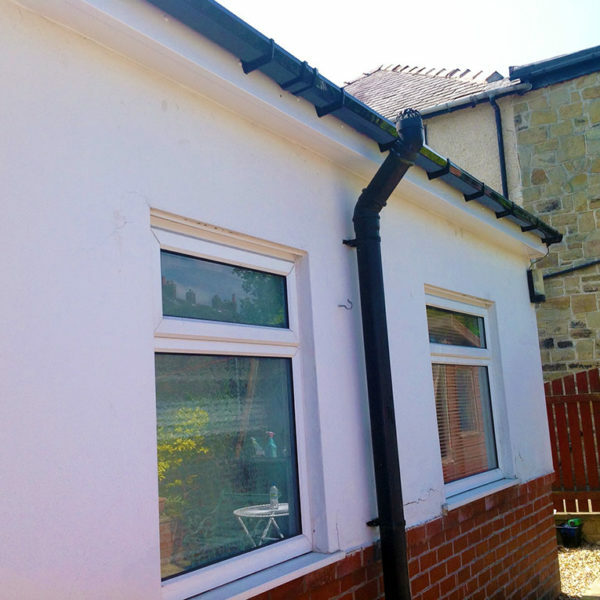 Bright white UPVC cladding is a fantastic alternative to real painted wood, right down to the convincing tongue and grove effect. Being low maintenance it needs no scraping, sanding or regular painting either! 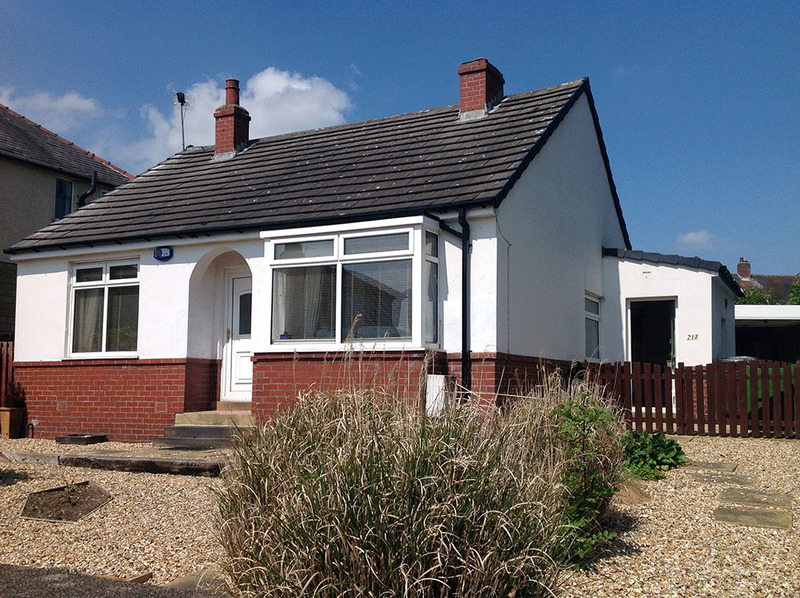 Gardinia take great pride in the quality of our UPVC cladding and in its installation for home owners. 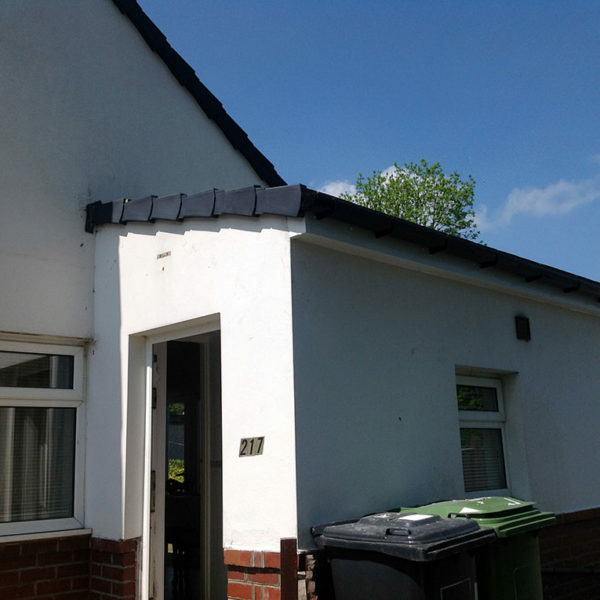 We would like to pass our confidence in our products on to you, as such we offer a comprehensive 10-year guarantee on parts and labour on all our UPVC cladding products. All cladding is completely made to measure for each individual property. When a member of our sales team visits your home we assess exactly what cladding needs to be replaced and what work needs to be undertaken. We then measure precisely so that an accurate, bespoke quote can be provided. Can be recycled up to 10 times. More thermally efficient than timber. Working life of 40 years +. Does not need painting (no chemicals from paint). No repainting or regular repairs to timber. Does not produce harmful CFCs. It will be decades before you have to consider replacing our Homeline roofline products, that’s got to be good news for the environment. 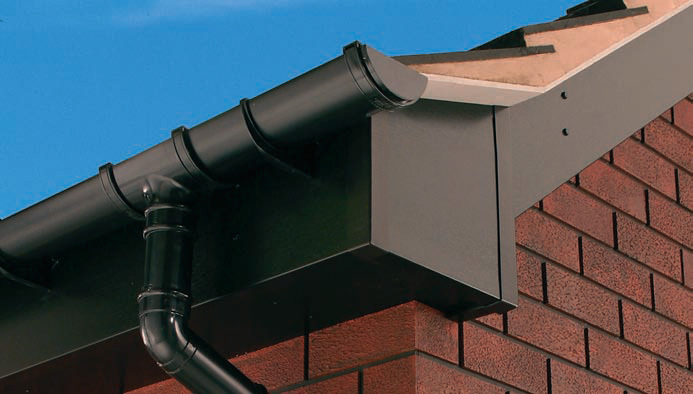 What makes up our Roofline products? The point where your roof meets the outer walls of your house is called the Roofline, the Roofline is made up of four key parts. The Facia, The Bargeboard, The Soffit Board and the Box End. The Fascia is the long, straight board that runs along the lower edge of the roof. 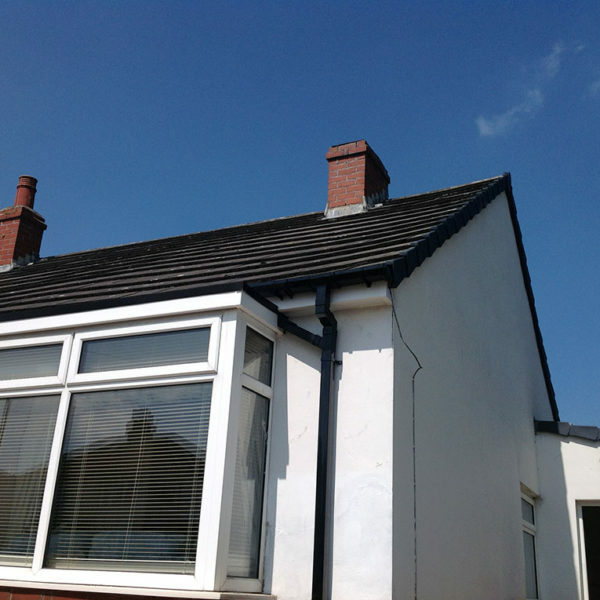 It is fixed to the roof trusses and usually does all the strong arm work of supporting the bottom row of tiles and carrying all the guttering. This is no mean feat, especially when the heavens open. 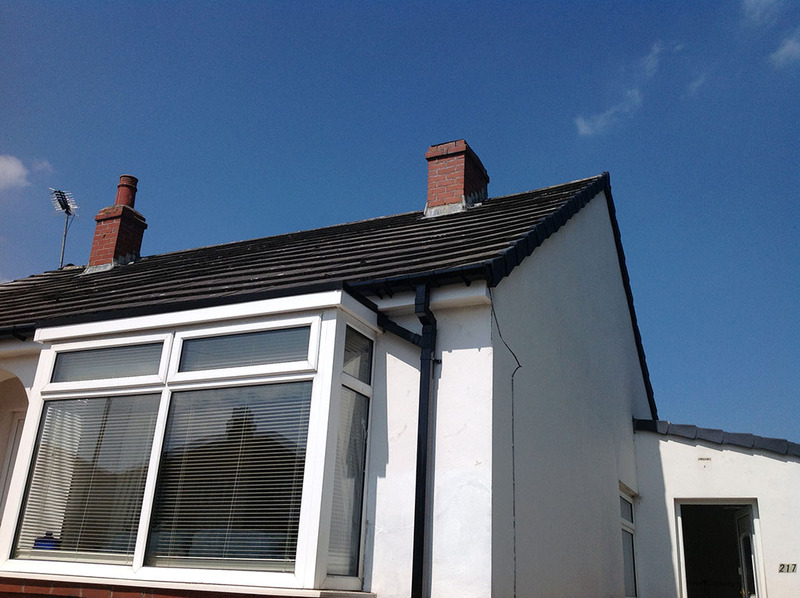 In a downpour the roof of a 3 bed semi-detached house could be dumping several gallons of water per second into the gutters. The Bargeboard is the show off, it demands to be seen and won’t carry a stitch of guttering. However the condition of the bargeboard can often make or break the look of a house. Over the years it has evolved into various fancy shapes. The Soffit board is tucked away underneath in a supporting role to the other two boards. However, without it they wouldn’t look half as good. The soffit board also performs a vital function these days in providing ventilation to the roofs of our centrally heated and insulated homes. Without adequate ventilation, condensation may form in the roof void increasing the risk of timber decay. The Box End is accommodates the many different angles, planes and heights of the fascia, soffit and bargeboard as they meet at the corner. If you don’t like white there’s now a range of wood effect boards to liven up your tired old roof. Boards are also available with Rosewood, Light Oak and Black finishes to give your home a more traditional look.